My favorite part of Christmas morning is the surprises. I love that look on their faces when they get something they totally didn’t expect, but is so them – you know that thing – that perfect thing. It doesn’t have to be a big thing, but it has to be something they didn’t expect, but will really love. Well, this year’s perfect things did happen to be pretty big things (well in the value sense of the word), but the looks on the faces were priceless. First, I surprised my sweet hubby (and daughter – but she wasn’t as excited) with tickets to the Mary Poppins musical that’s coming to Atlanta in May -seriously, we have to wait FOREVER! Mary Poppins in his ALL TIME favorite movie and music, and I knew he would LOVE to see the show. He was surprised. I was happy. The last present we let Maggie open was the big one. The big one that she wasn’t expecting. 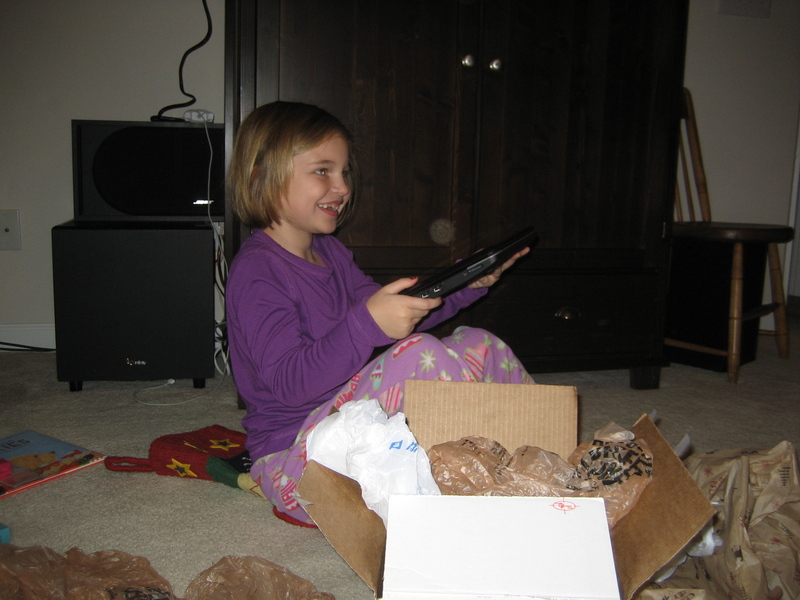 She had asked Santa for a DS, so that was already there and was expected. This one was not even on her radar screen. 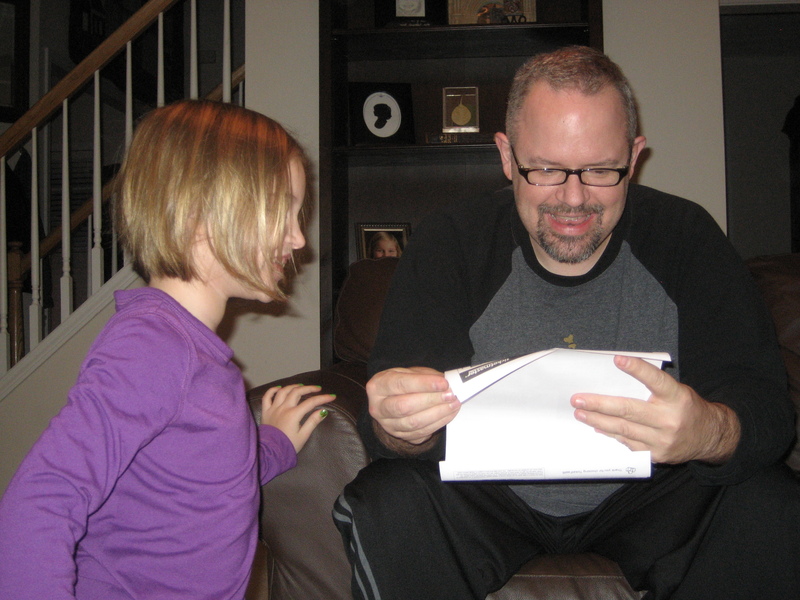 She got a laptop – like Mommy and Daddy have (well not exactly like ours – we have Macs – she got a mini-Dell). The best part about this is 1. It’s hers – so all her game icons can go right there on the desktop. 2. She doesn’t have to use mine. We had some surprised faces here at the House of Hills this morning. That made this mommy very happy. In fact, I’m filled with Christmas cheer.